WOW and WOW !! 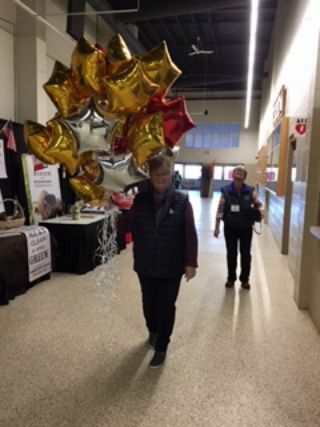 THE WILDROSE BISON CONVENTION / SHOW & SALE was A GREAT SUCCESS again - and EVEN BETTER this year, just as we hoped it would be ! 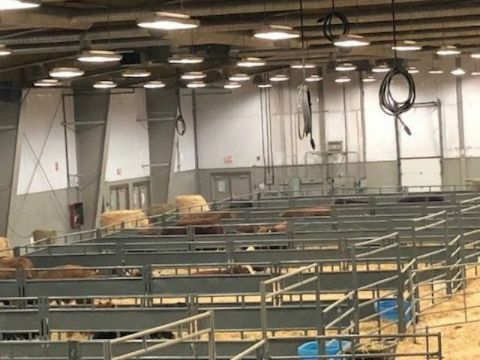 AND Indoor Penning for the Wildrose Bison. Those screens and an excellent audio system meant everyone in the Convention room was able to enjoy the presentations. And judging by the positive feedback - it was a great line-up of Speakers. Starting the day was a BPA Update from Chair Steven Lunty, followed by a 'Welcome from the CBA' by President - Sharif Fahimy. With Sharif's heavy schedule, it was an honor to have him join us at the Wildrose for the full day. 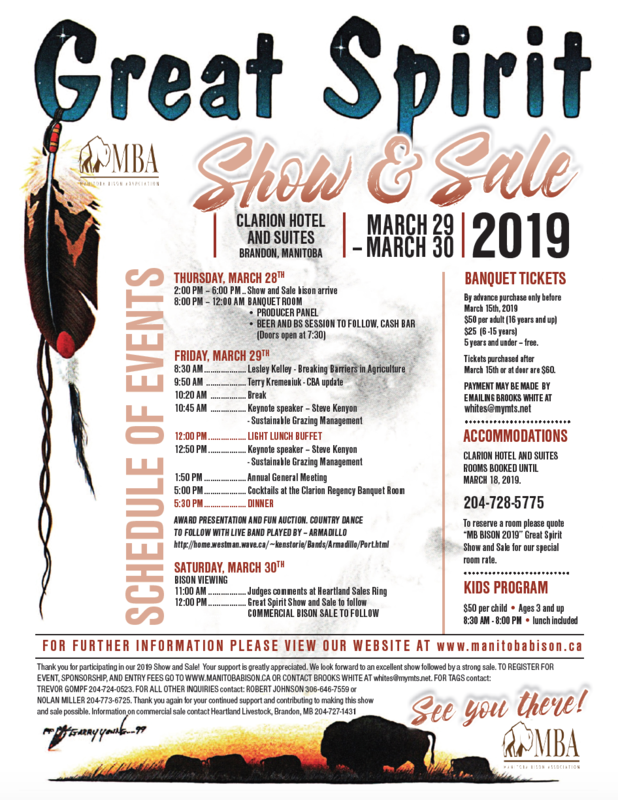 Waiting for 'his turn', the CBA Executive Director Terry Kremeniukwas up next to provide an update on the activities of the national association - including the dates of their annual Convention (Nov 24 & 25) and the new venue of the Ramada Inn in Regina. 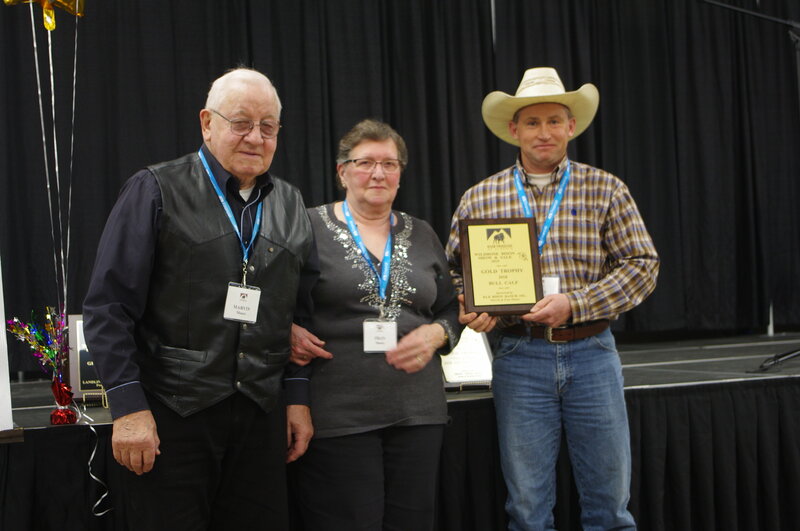 Well-known consultant - Steve Kenyon of Greener Pastures Ranching - presented information on ways to work with the microbes below the soil, and the insects in and above the soil, to grow better pastures. 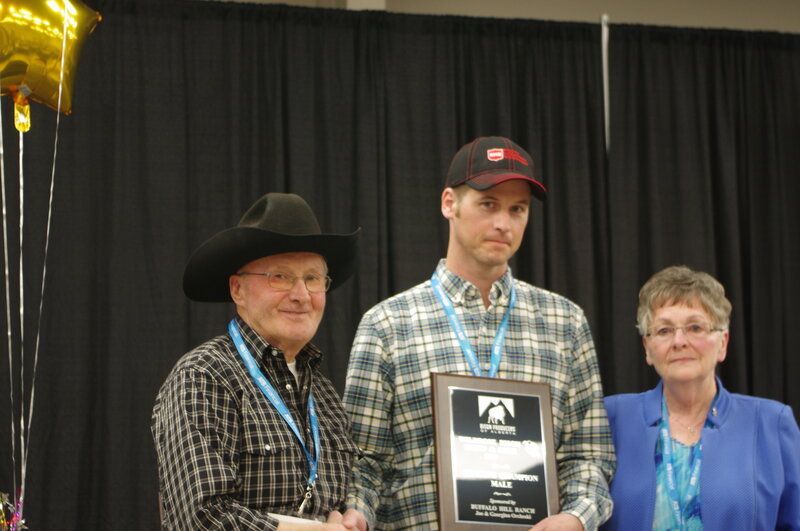 Hats off to Jakob Jud of Rangeland Meat Shop for providing both an informative short talk on bison meat & grading AND the delicious Bison Cervaleat sausages for the Lunch menu - the chef was sure there were going to be plenty left over, and there wasn't a one ! After lunch, April McCorquindale spoke on a topic that really had everyone's attention - Finding Your Strength in Mental Health. She noted that rural people face the largest group of stressors with so many factors out of their control, and yet are the most reluctant to acknowledge the strain those stressors are placing on them. 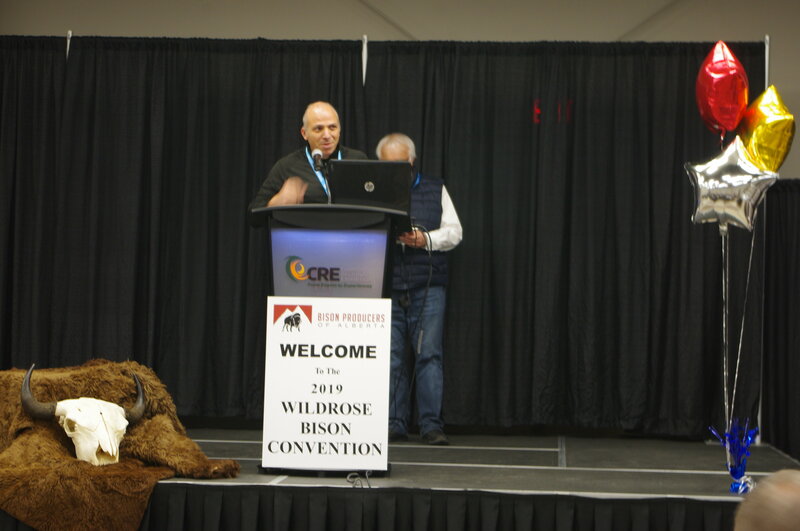 Dr. John Church certainly had the attendee's interest when he spoke about, and demonstrated, the 'Practical Use of Drones for Bison Producers'. Who knew such a small flying machine could help out so much! 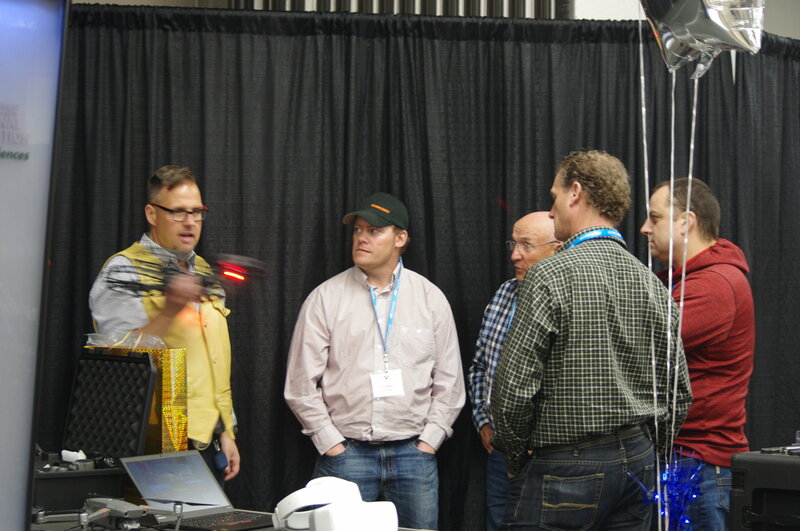 Attendees continued to engage Dr. John for the entire Coffee Break in discussing drones further. 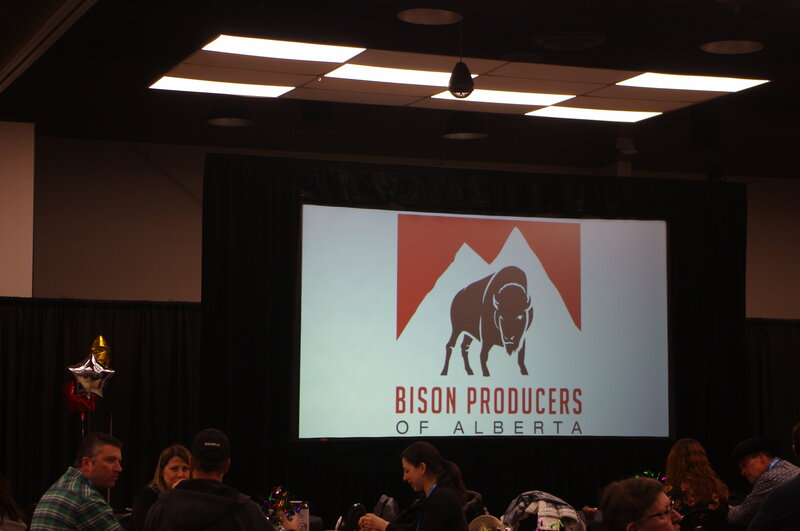 Karsten Heuer, the Project Manager for the Reintroduction of Bison into the Banff National Park, provided an update on that Project. 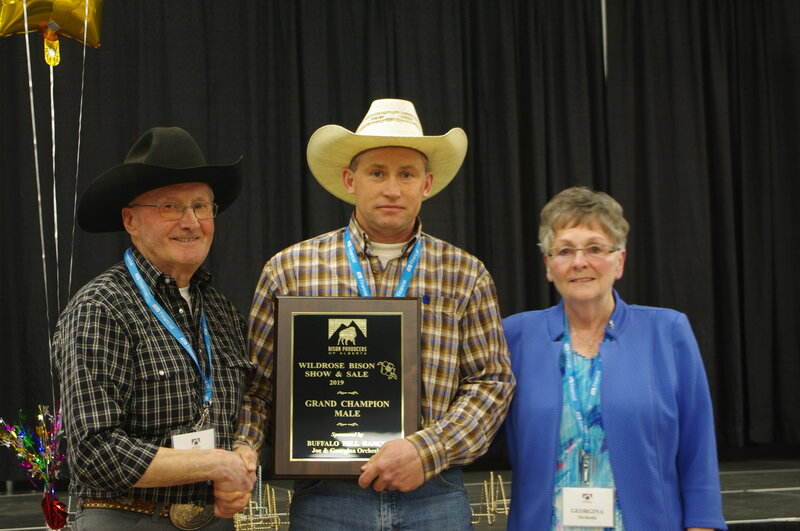 He noted the first year had been deemed very successful, with the second year having a few challenges - but overall the relocated herd is doing well. Former BPA Director, Dr. Roy Lewis, was our last (but far from least) speaker. 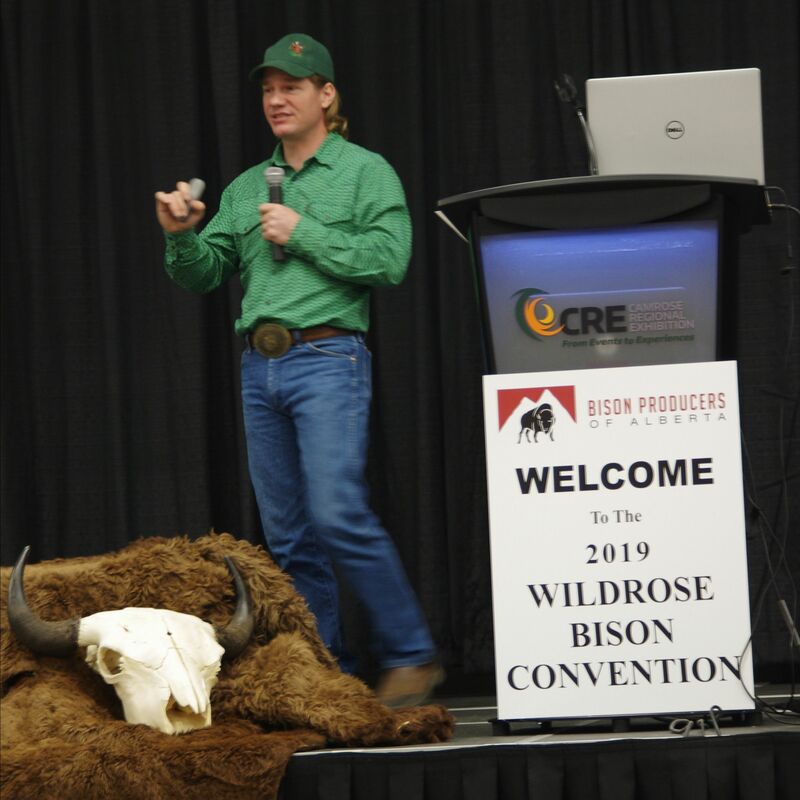 As always, Dr. Roy was a wealth of knowledge on the value and importance of minerals and proper nutrition for bison health. Then it was time for mingling - AND our Bison Banquet ! 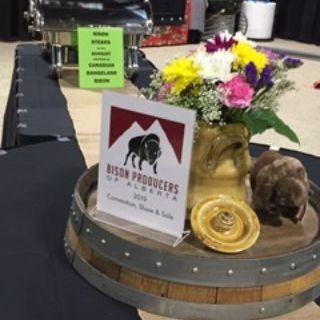 It was Canadian Rangeland Bison that provided the Bison Strip Loin for the Steaks at our Banquet - Thank You again for your continued support of the Wildrose. 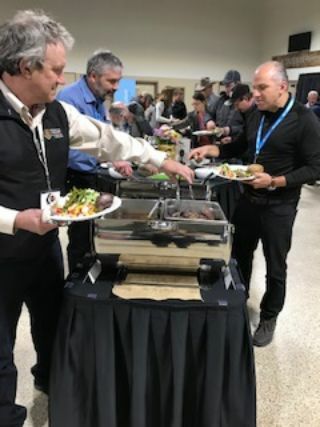 Did I mention the staff at the CRE was simply amazing - including the two chefs that prepared the Bison Strip Loin Steaks to perfection for the Banquet dinner. I do believe the meal was a big hit this year! 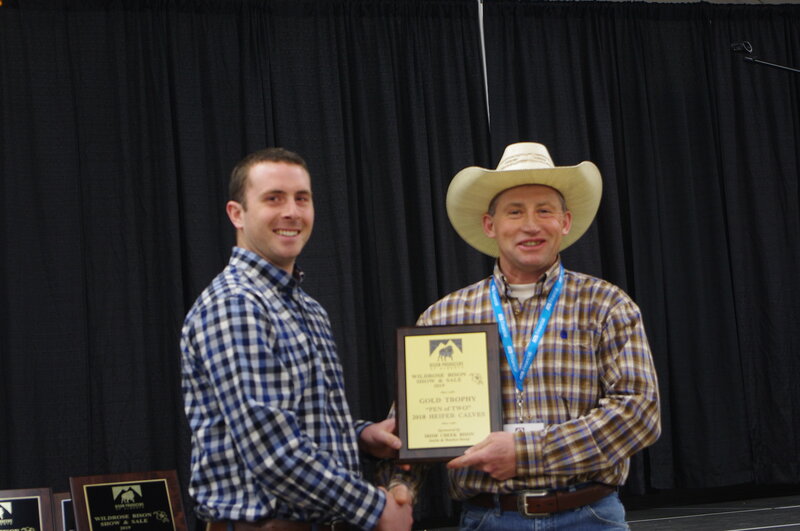 Our producers continue to make it harder for our Judges -Ivan Smith and Trevor Gompf this year. They relayed it was even more difficult than before to pick the winners - Kudos to both of you for a great job. 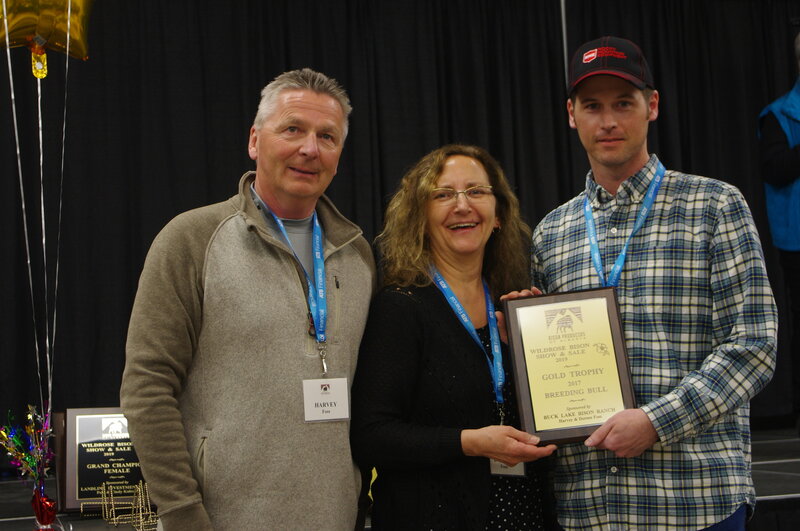 **Note - Les Kruger accepted the Award as Derek was unable to attend. 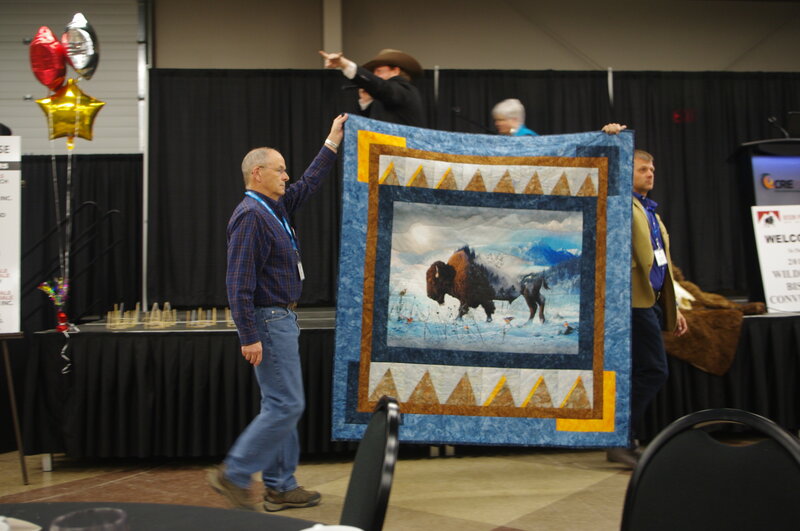 Just one of the terrific Live Auction Items - a beautiful Quilt, hand-made and donated by Karina Staudinger !! THEN it was Saturday - March 16th - Time for the AGM. It was a basic Agenda, but this year there were changes to the Board of Directors. Former Chair and Director for the BPA - Roger Van Haren - had advised he was stepping down. 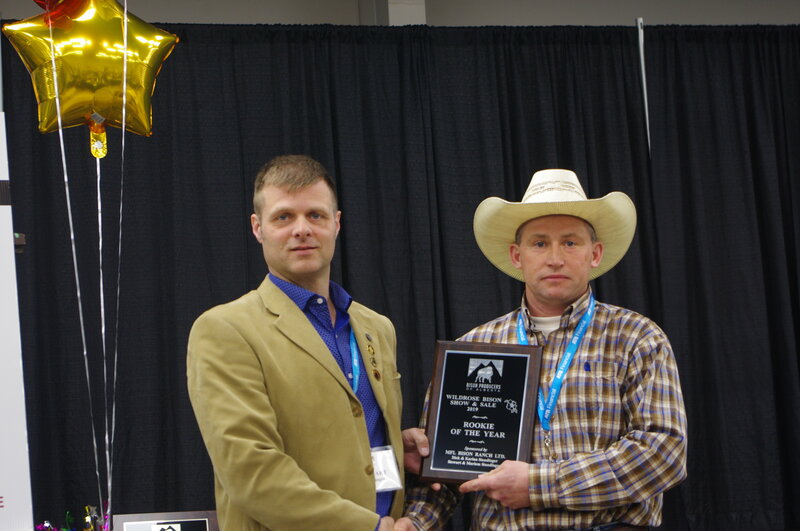 Chair Steven Lunty presented Roger with a 'Bison Plate' to thank him for his five years of being on the Board. 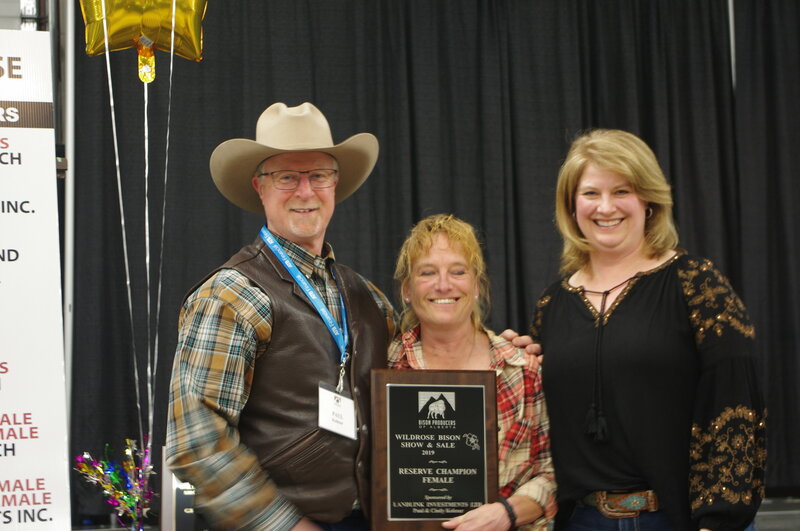 Roger's stepping down left a vacancy in the Central Region, and Bison producer Yvonne Mills of YR Bison Ranch was nominated and voted in for the position. Congratulations Yvonne !! 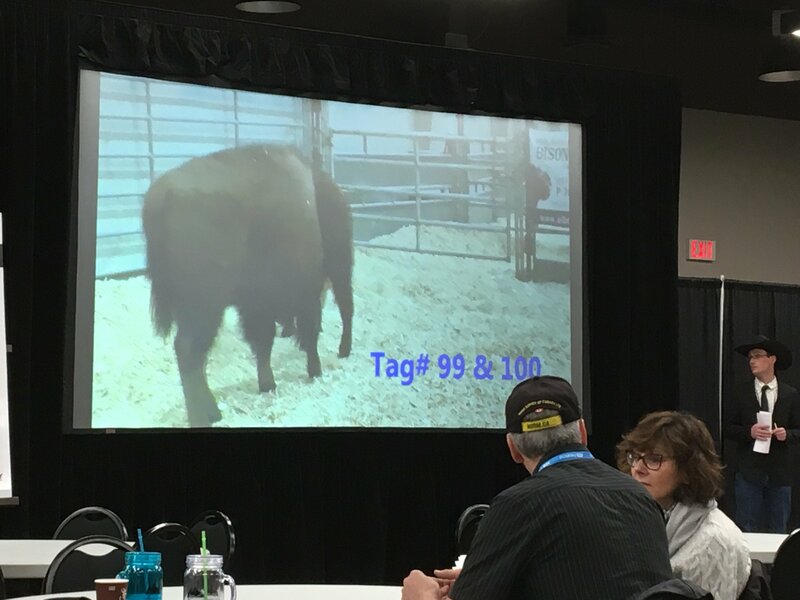 Those two big screens in the Convention Room gave great visuals for the Wildrose Bison Sale - "Hats Off" to Craig Jacklin of Vold Jones & Vold for his awesome work in videoing each Entry and spending the night to compile them featuring the Award Winners. Acclaimed Auctioneer - Dean Kennedy - did a great job. VJV ROCKS ! 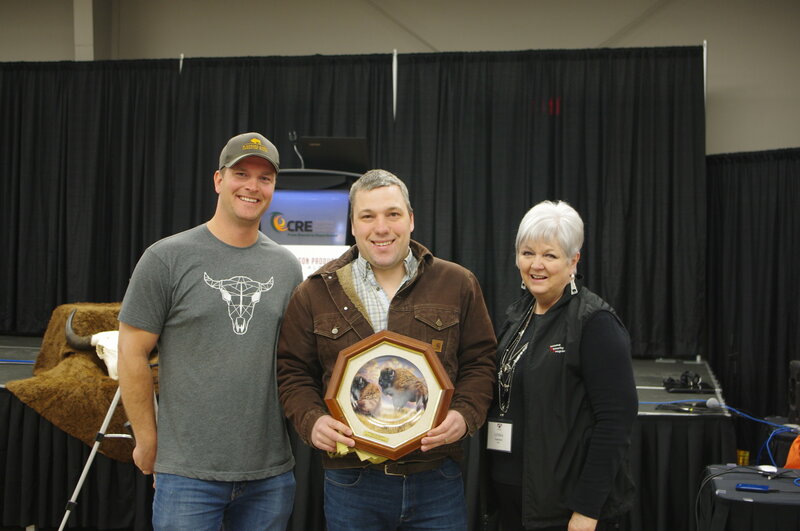 A BIG FIRST for "CALVES for CANCER"
This program began in the fall of 2018, with beef producers donating the Sale Proceeds from one (or more) of their calves sold at auction to this great Project. To date, over $100,000 has been raised. 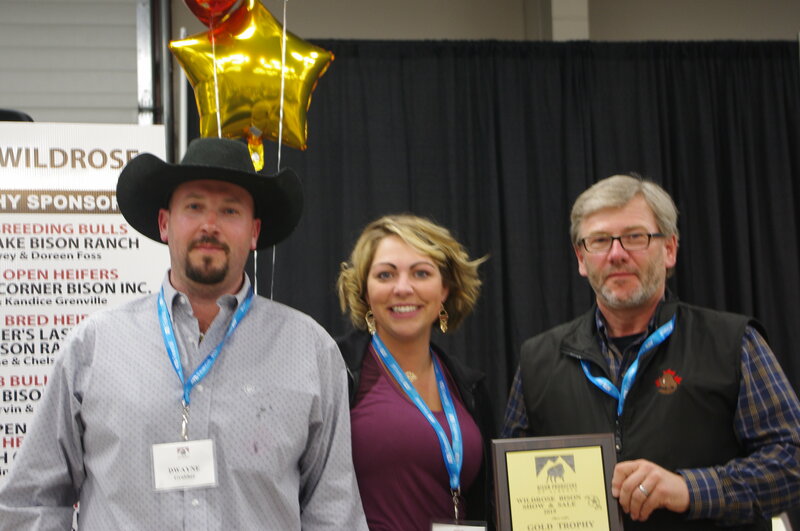 But at the Wildrose Bison Sale, it was the Proceeds from the Sale of # 93 a 2018 BISON HEIFER CALF from Elk Valley Ranches that was donated ! 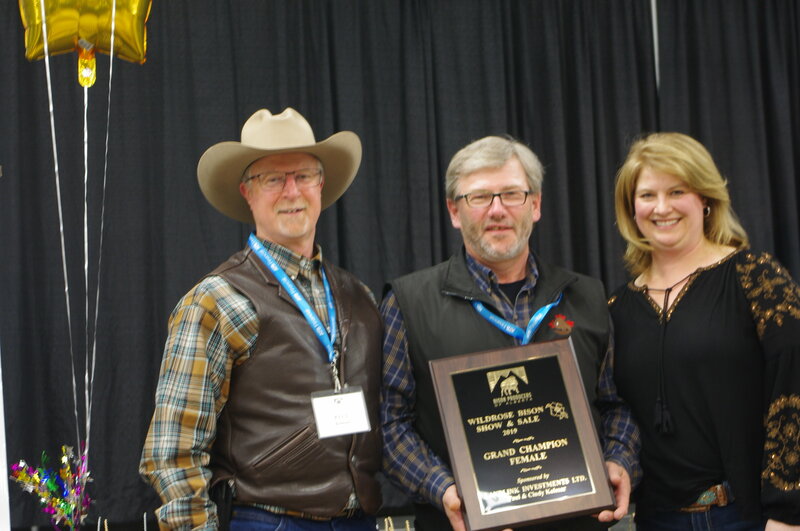 Thank You to Frank & Neil McAllister of Elk Valley Ranches for coming up with this idea to promote both the great Project and the bison industry, and donating the proceeds from # 93. 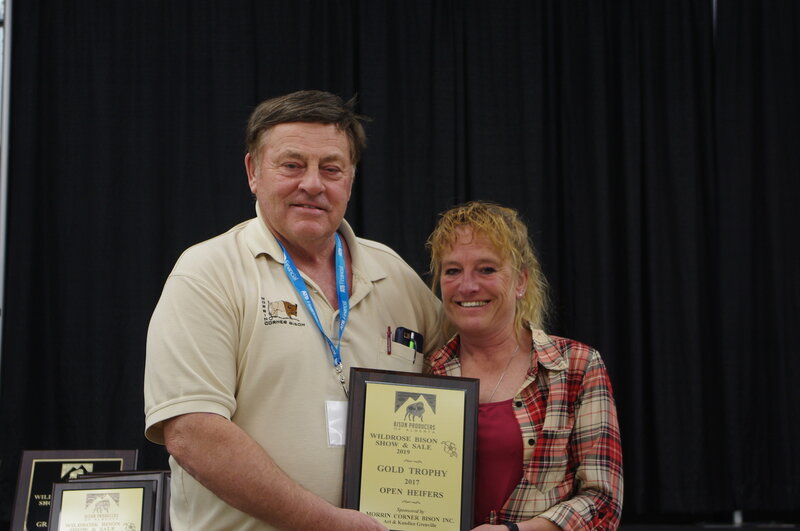 She sold for $4,000 to Linda Morrill - Congratulations Linda, and THANK YOU.